Spanning both Europe and Asia, Istanbul is one of the world's greatest cities. Any first-time trip should include time to discover the city's many essential sights and flavours – but also include a few extra days to explore sleepy islands, trendy neighbourhoods and quiet Bosphorus fishing villages. 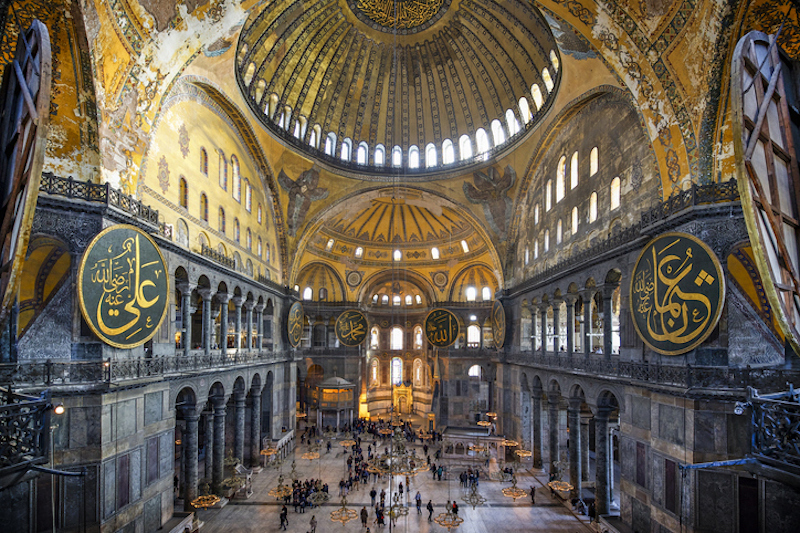 Founded almost 2,700 years ago, Istanbul is awash with the compelling echoes of Byzantium, Rome and the Ottoman Empire. Built by Emperor Constantine from 537, Aya Sofya (often called the Hagia Sophia in English) is one of history's most important religious buildings while the wealth and influence of the Ottoman Sultans enliven the opulent hilltop pavilions of Topkapi Palace. Shimmering indigo ceramics from the Anatolian region of Iznik decorate the interior of the Blue Mosque, with the building's six soaring minarets punctuating the skyline of Istanbul's historic Sultanahmet district. The bustling commercial template for the modern shopping mall, Istanbul's Grand Bazaar is an occasionally confusing but always compelling labyrinth of family-owned shops, teahouses and artisans' workshops. Many stallholders have the innate ability to identify different nationalities from afar (“Kia ora Kiwi!”) and it's expected negotiations over prices are fuelled by a few complimentary glasses of Turkish tea. 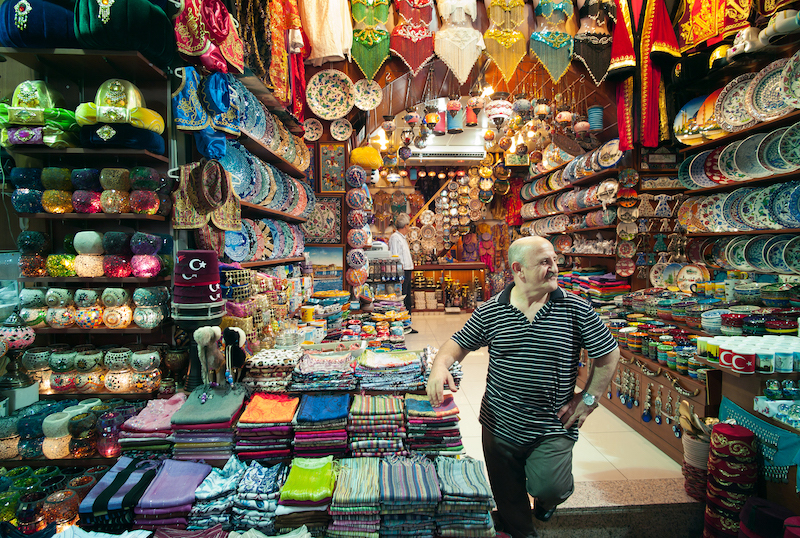 Adjacent to the Grand Bazaar, the Spice Bazaar is popular with both locals and tourists. Mini-pyramids of vibrant spices and lokum (Turkish delight) stand next to freshly-roasted coffee and still-warm simit (Turkish pretzels). Free samples are definitely encouraged and it's a great place for edible souvenirs and gifts. Venture beyond Istanbul's historic but touristy Sultanahmet area for the best opportunities to discover the widest range of Turkish cuisine. 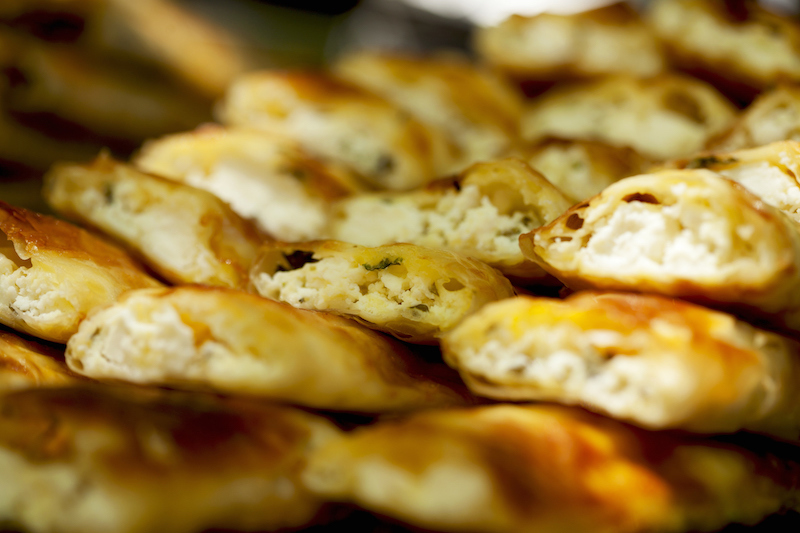 The laneways of the Beyoglu neighbourhood are packed with meyhanes (bars) serving mezze (small plates) of seafood and dips, all designed to be shared with a glass of aniseed-flavoured raki. Replicating the table-covering spreads of the far eastern city of Van, the Van Kahvalti Evi offers the best breakfast in town, while tasty regional variations on the humble kebab are offered at ocakbasi (grill restaurants) throughout Istanbul. Enlivened with zesty and spicy sumac, the Adana-style kebabs at Zubeyir Ocakbasi in Beyoglu are very popular. Many of the city's historical and cultural attractions lie within the compact and easily walkable Sultanahmet district, but Istanbul's efficient public transport system also makes it easy to explore other areas. Avoid an expensive taxi from Istanbul's new international airport – scheduled to open in April 2019 – by catching an airport bus with the Havatas company, and harness the city's famous Bosphorus ferries to cross to interesting areas like Kadikoy on the Asian shore. A popular and affordable way to explore the Bosphorus is a six-hour return trip from the Eminonu docks to the fishing village of Anadolukavagi near the entrance to the Black Sea. 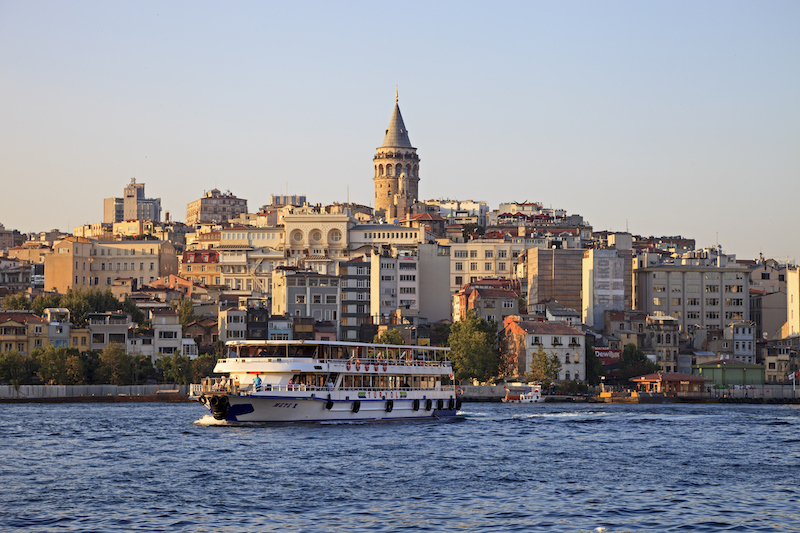 Despite almost three millennia of history, Istanbul is also a modern and diverse city. Emerging areas framing the edges of the Bosphorus waterway include Karakoy on Istanbul's European side and Kadikoy east across the water on the Asian side. 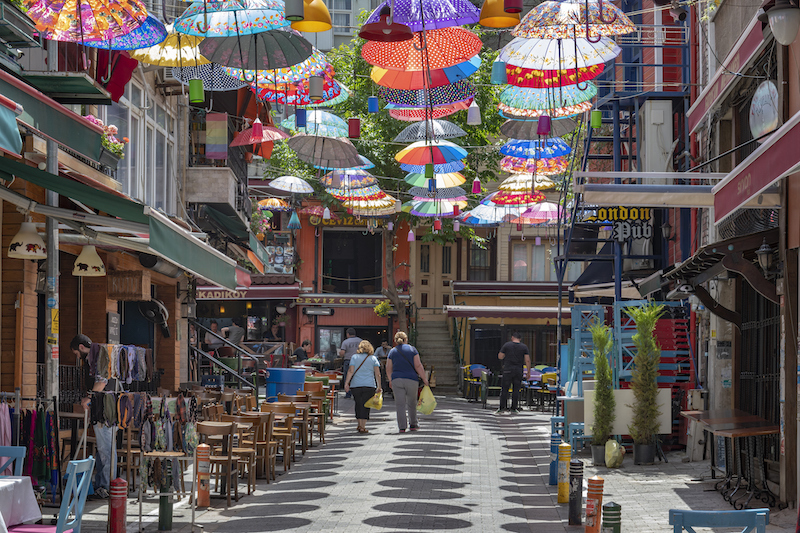 Street art and hip cafes jostle with an excellent daily food market in Kadikoy, and the neighbourhood's Ciya restaurant is renowned for reintroducing authentic regional dishes from the far reaches of eastern Anatolia. Harbourfront Karakoy combines the legacy of the district's maritime past with dusty ship chandleries sitting beside stylish restaurants including Karakoy Gumruk and cultural institutions like the Istanbul Museum of Modern Art. Providing passage from the Sea of Marmara to the Black Sea, the Bosphorus is one of the world's great waterways. Ferries link Istanbul's European and Asian shores, container ships steam past elegant heritage mansions, and it's also the setting for an essential day trip from the city. Catch a ferry from Istanbul's Kabatas or Eminonu docks to the Princes Islands around 20km southeast of the city. 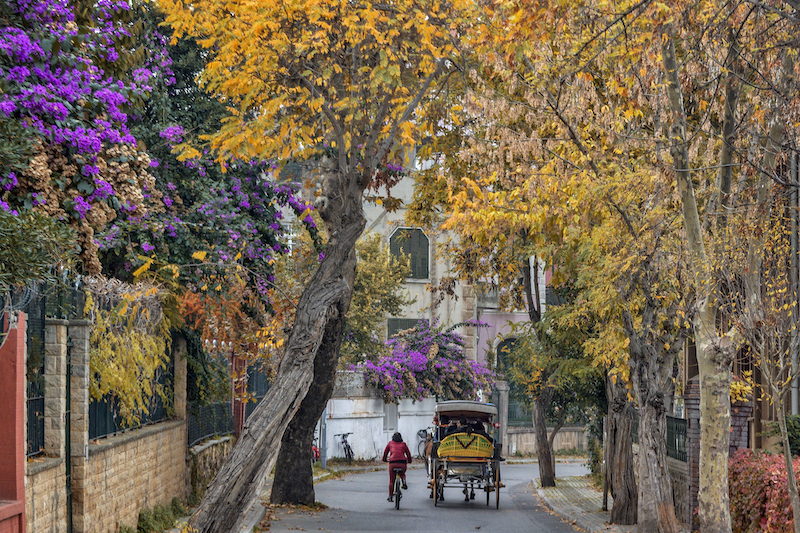 Leafy Heybeliada is best explored on a bicycle, while faytons (horse-drawn carriages) are the best way to reach the good swimming beaches on Buyukada. A late lunch or early dinner at one of Buyukada's seafood restaurants completes the experience, but visit on a weekday as the islands are a hugely popular destination for Istanbul residents on weekends.